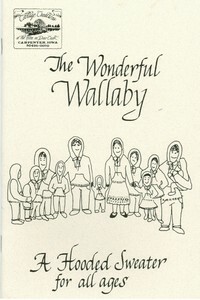 I’ve found a pattern I’ve been looking for, The Wonderful Wallaby. Patterns are for toddlers up to adult sizes. I found the pattern worked up on Ravelry, and instantly fell in love, so went on a hunt and grabbed a copy with very reasonable shipping. I also picked up a copy of Wisconsin Winter Socks & Other Goodies Pattern. There’s sock patterns for toddlers up to Adult sizes. I’m thinking I’ll do the Wallaby in a buff or gray heather, something soft and fuzzy. Which will give me hours of fun pondering yarns. I’ll have to check out Ben Franklin Crafts for available fibers and find something I like, then order it online. I’m almost finished with the Shine-on Vest back, at the half-way mark on the armholes. The camo pattern is working out nice, and DH really likes it. He wants a vest of his own in this color now. I found a free pattern that will be perfect for DH-it resembles the vests he wears daily. 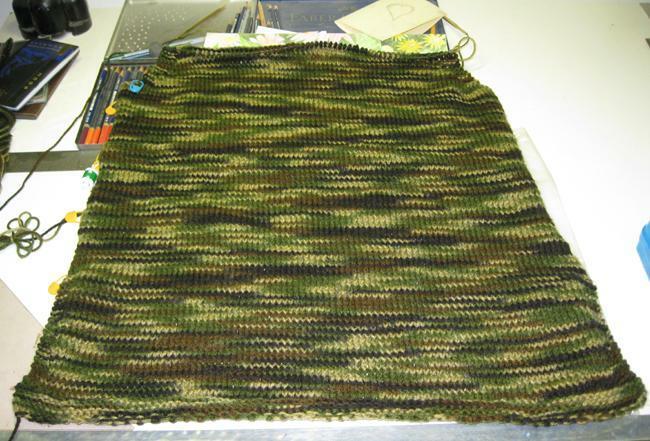 I think the camouflage green will work in place of larger solid areas. DH made some new Curvewood Hair Sticks today, from some cherry and ash pieces he had in the workshop. They turned out really nice, so I’ll be posting them on the website tonight or tomorrow. Tomorrow is looking about the same as today, back to the upper 40’s. Spring is on hold for now.